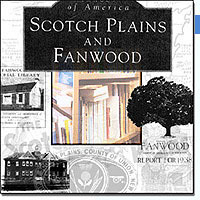 The Joint Digital Archives of Fanwood & Scotch Plains are a collection of materials related to the rich history of the two towns. The Archives allow in-depth searching to support research as well as browsing for pleasure. The Archives project is a joint collaboration of the Boards of Trustees and The Friends of the Library groups of the Fanwood Memorial Library and The Scotch Plains Public Library. Our expanding collection of Ephemera (photos, pamphlets and more) celebrating the history of both towns.